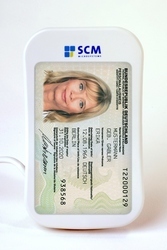 SCM Microsystems has announced that its SCL011 contactless smart card reader is now compliant with the CCID (Circuits Cards Interface Devices) standard, enabling users to plug and play the device without having to install special drivers. 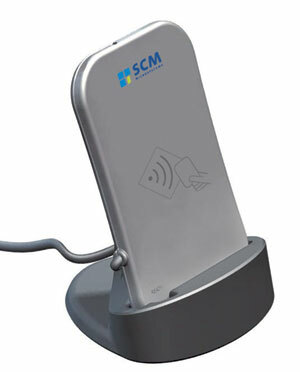 Originally an industry standard for contact cards, CCID is now becoming a standard for a growing number of contactless smart card readers, says SCM. According to CEO Manfred Mueller, the company chose to incorporate CCID in order to make the SCL011 more appealing for projects such as Germany’s electronic ID program, for which SCM has already provided 500,000 readers. The SCL011 is especially designed for 13.56MHZ contactless smart card applications and supports electronic ID, payment and public transportation schemes, as well as interaction with NFC-enabled devices. The reader also offers interoperability with various smart card chips and applications and is capable of reading and writing NFC Forum compliant tags, based on MIFARE, FeliCa and Topaz.